511 is a free phone and Web service that consolidates the San Diego region's transportation information into a one-stop resource. 511 provides up-to-the-minute information on traffic conditions, incidents and driving times; schedule, route and fare information for public transportation services; carpool and vanpool referrals; and bicycling information. 511 is available 24 hours a day, 7 days a week. You can access the service by dialing 511 from any phone or on the Web at 511sd.com. 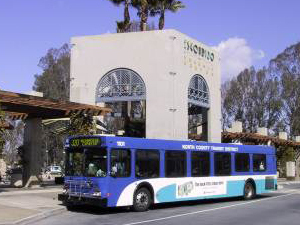 Breeze buses carry passengers in the north San Diego County area and stop wherever you see the blue and white NCTD bus stop signs. Stops are usually located every few blocks on city routes but may be several miles apart in rural areas. All Breeze buses can accommodate up to two bicycles and up to three wheelchairs and almost half the fleet have "kneeling" buses. Many Breeze bus routes connect with the Coaster and Sprinter trains. The Sprinter runs 22 miles along Highway 78 corridor, making short trips to 15 stations, for a total travelling time of 53 minutes from end to end. Each European-style light rail vehicle has a maximum capacity of 226 passengers and travels at a maximum speed of 55 mph. 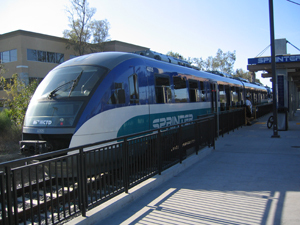 The Sprinter offers easy connections to the Coaster, Breeze, Amtrak, Metrolink, Greyhound, and a future Bus Rapid Transit project in Escondido. 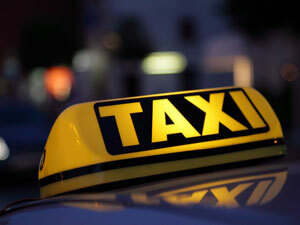 For a list of taxis serving the Escondido area, please visit yellowpages.com. Here you will find reviews, Web sites, phone numbers, addresses, and business profiles.